Today is the day!! Centre Focused Pilates is now 1 year in business, what a journey it has been. I started my Pilates training 6 years ago and I have worked with some amazing teachers over those years. They have taught me, not only how to develop and teach a great class but how to inspire others and keep inspiring myself. A special thanks to Laura and Tess from Pilates Plus Physio who offered me my first job as a Pilates instructor. They provided me with the tools and training that shaped me into the style of teacher I wanted to be. Stepping out on my own this past year was an exciting challenge and I knew I had nothing to lose if it didn’t work out. I anxiously taught my first class at the Arthur Conan Doyle Centre to a class of enthusiastic clients, all of whom have stuck with me ever since! I am so grateful for their commitment and dedication, it has been lovely to see them progress over the year. When I was trying to figure out what to write for this blog, I done what most people would do and googled it. I came across similar blogs with most of them speaking about what they had learnt in business and their highlights. So, here are my lessons/growths/struggles of the year, some more glamorous than others! I have grown in confidence and self belief. I would describe myself as a self-doubter and I always look for encouragement from my friends and family! At first I dragged my family to all of my classes because I was worried no-one else would turn up or they would be put off by a quiet class. Now I don’t mind if the class is quieter, I appreciate the people that are committed to attending each week and dedicating their time to practising Pilates. My classes now run at a consistent number and I don’t worry about having a quiet class anymore! Sometimes it is a nice break from the madness of life. Time management. I have wasted a LOT of time thinking about what I should be doing rather than actually formulating any sort of plan. I attended a study day recently that had a presentation on business development – something I have no background in. It has taught me that I definitely need to seek help when I need it from the right people to help grow my business. Luckily my sister is very business driven and successfully manages a large venue in Edinburgh, her advice and help with basically every process has been incredible. Instagram and Facebook posts. This is something I never thought about in much detail before, and probably still don’t think about in as much detail as I should. My goal for year 2 is to research this more and figure out ways to improve the quality of my pictures and videos. 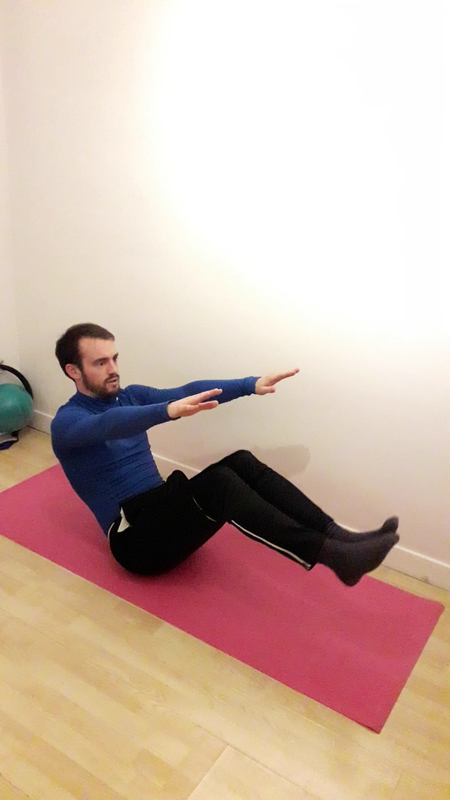 Instagram has really helped in the development of my class plans – there are thousands of inspirational Pilates instructors who post the most creative and beautiful photos and videos. I love going on Instagram to find new ideas each week! I live in leggings and sports bras 7 days a week! It’s great!! The amount of admin required to run a business!! WOW, who knew there would be so much to do?? Class planning, note keeping, book keeping, accounts, emails, newsletters, advertisement, flyering, website updates….and many more!! It is exciting though and I enjoy doing each and everyone of these things. Here’s hoping my enthusiasm continues! To anyone reading this who is thinking of starting up a business of their own – GO FOR IT! Change isn’t easy. Nothing stays the same. You have to try new things and be willing to change in order to succeed. I can’t wait to see what this next year will hold! Keep your eyes peeled for new classes and new class plans. 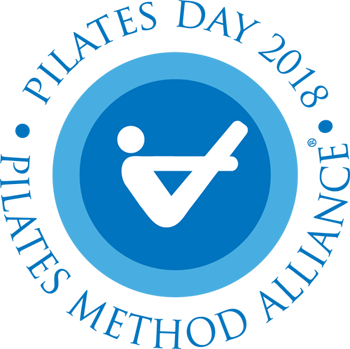 Pilates instructors from around the world celebrate this day to be thankful and grateful for Joseph and Clara Pilates who introduced us all to this extraordinary opportunity. Becoming passionate in Pilates has definitely been life changing for me. I have noticed a complete change in my body and the way I view exercise and injury. The body works in weird and wonderful ways and not one size fits all but I believe Pilates is something that everyone can enjoy. I have been lucky enough to share my journey through my instagram page and meet fellow instructors from around the globe. I am inspired each and every day by their talent and motivation. So, let’s all come together and appreciate this day and what it signifies. On Tuesday 8th of May, I celebrated with my lovely Pilates class. We had some healthy snack bars and mineral water to rejuvenate ourselves after class. Take a look at the pictures below. What a fantastic event we all had at the Arthur Conan Doyle Centre!! The event started with a nutritional talk with Dr Gregorio Torchia of Nutripanda, followed by yoga sessions with Edinburgh Community Yoga and Pilates with myself, Centre Focused Pilates :). We also had delicious vegan food samples from the Edinburgh Beetroot Café. The event was finished off with Vanessa Skelton Sports Massage and Soft Tissue Therapy who made us all feel better after all our working out! Pilates is for men too? whaaat? The common myth I hear all the time is that Pilates is only for women. This could not be further from the truth. Pilates was first introduced by a male; Joseph Pilates. He spent his childhood battling rheumatic disease, asthma and rickets and was determined to become physically healthy. He done this by creating his own system of exercise – Pilates. He started off teaching Scotland Yard detectives in self-defence but due to unfortunate circumstances he was imprisoned in Germany during the first world war. He began to teach physical exercise programs to his fellow compatriots, using springs and the camp bunk beds. Following this he returned to Germany and taught the German Police Force. He then migrated to the USA and set up a studio with his wife which grew in popularity. It appears over the years that this popularity has taken the interest of women and less men. From experience I think most men believe Pilates is ‘easy’ or ‘stretchy’ or just too slow paced. It might be intimidating if they don’t feel as graceful or flexible as their female partners (my boyfriend would agree with this). These things come with practice and dedication to the craft and each of us are still working at this in our own way. Rome wasn’t built in a day as they say. Pilates for men can provide countless benefits for your body and mind, more than just stretching and breathing. I try to remind myself that the best swimmers are those that swim with their core, the best runners are those that use their control and stability and the best weight lifter is one that can combine it all. Many male clients may not want to lie on a mat and use their body weight for exercise. They may prefer to lift weights, so as an instructor seeing a client 1:1 this can be challenging to break down. I try to make Pilates as functional as I can to their specific activity or sport and as a physiotherapist, I am able to incorporate Pilates into nearly every patient’s exercise program and try to adapt the exercises to their individual needs. This is where 1:1 Pilates is useful or small group settings so you can get to know each clients goals and level of ability. It is easy to feel swallowed up in a large class setting, which may be another reason males feel put off. If you are an expectant mother to be then ante-natal pilates is for you. The aim of the class is to help maintain core strength and stability to support you throughout your beautiful pregnancy. Exercise during your pregnancy can provide a lot of benefits but as instructors we know it can be daunting starting a new class. Whether you are a complete novice right up to elite athlete, pilates can help you. There are, of course, contraindications to taking part in exercise and if you have any concerns over this you can discuss this with your GP and class instructor. Some of the key benefits are; pelvic floor muscle training, deep abdominal muscle training, posture re-education, gluteal strengthening, scapulothoracic training, and helping to maintain your mobility. This will help prepare you for your changing body throughout the pregnancy, during the birth and whilst caring for your baby. The classes will introduce you to other expectant mothers and it is a great way to socialise and share stories. Group classes are great as they are usually a small group size which allows the instructor to monitor your technique and encourage progression. We can utilise small equipment such as, exercise bands, ova balls and pilates circles. Hello thanks for taking the time to come along and read my first little blog post :). I was introduced to Pilates in 2013 at my local gym as a way to improve back pain. I was in my fourth year of University studying Physiotherapy, being exposed to a long list of patients suffering similar problems and I wanted to find a long term solution to help them through it. I started my Pilates training through APPI (Australian Physiotherapy Pilates Institute) and have completed all levels from Beginner to Advanced. I have also trained in ante-natal and post-natal Pilates for any lovely ladies who are expecting or planning a little one in their life :). I love Pilates because it can help EVERYONE. Our core is our powerhouse and I believe we should dedicate our time and effort into improving it every day. It’s not always easy to implement but every day that I succeed in this is a good one. As they say, all you need is love (and Pilates). Please feel free to leave a comment or send me a message for any advice.